Once a bride starts planning her wedding, the first step is choosing her wedding venue, wedding venues are the most important task on a birde's list, because once you find the perfect wedding venue, everything starts taking place in order. 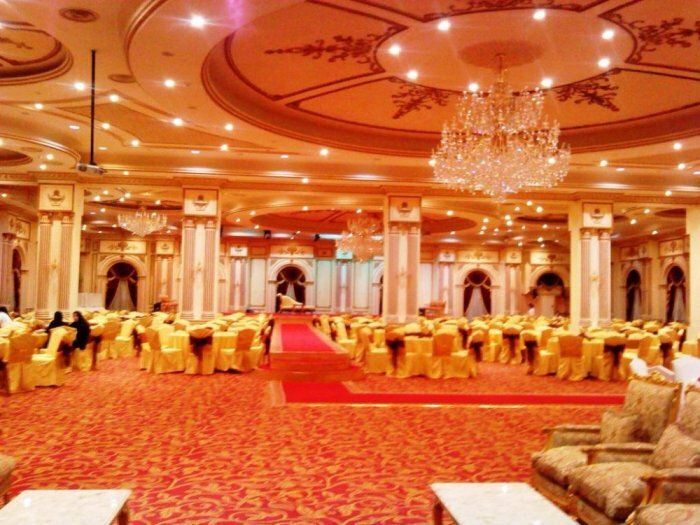 If you are a bride who is getting married in Jeddah, then you are one lucky bride, as Jeddah has a lot to offer in terms of wedding venues, Jeddah has an endless choice when it comes to wedding venues and halls, especially large wedding halls, because Saudi weddings are known to be quite big. 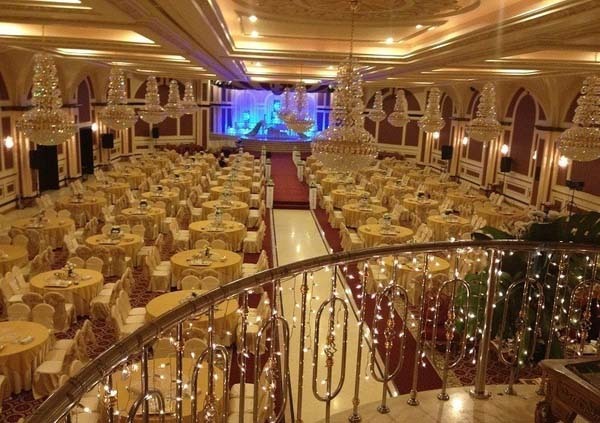 If you are getting married in Jeddah and looking for a unique and large wedding hall, we bring you the best and largest wedding halls in Jeddah, KSA. 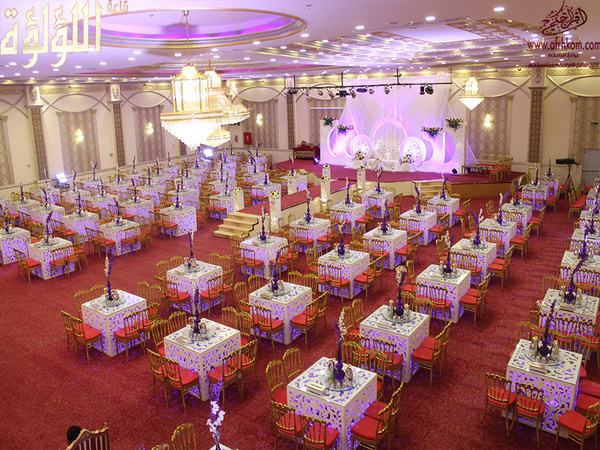 Leylaty Wedding Hall is located in al Khaldiya area, on Sari Street, the wedding hall is known for its unique and elegant decor, the wedding hall is perfect for large weddings, it has beautiful and fancy chandeliers, and prepared with the best sound and light system. 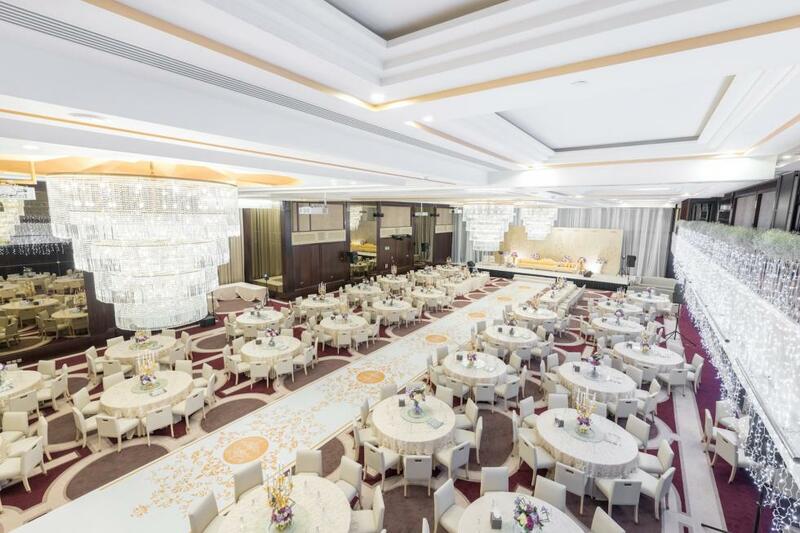 Located in Al Marwa area, the wedding hall fits over 1500 wedding guests, and can fit up to 3000 people for confrences, the wedding hall offers a VIP lounge and bridal suites. 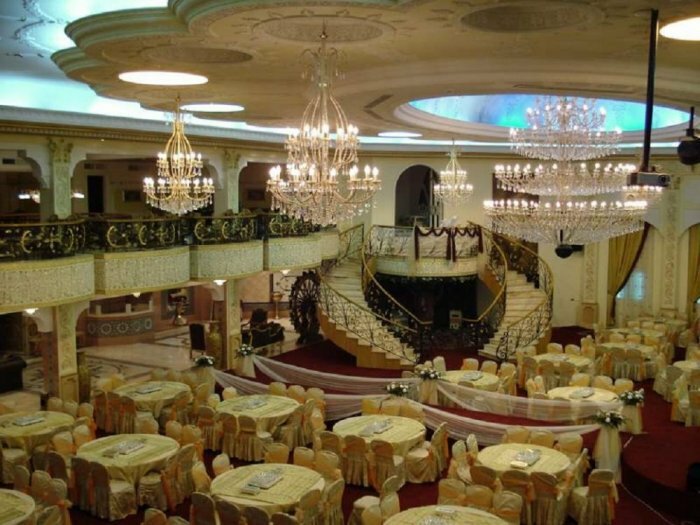 The wedding hall also offers the top sound and light systems for weddings, the hall is known for its elegant red and gold colors, with beautiful crystal chandeliers. 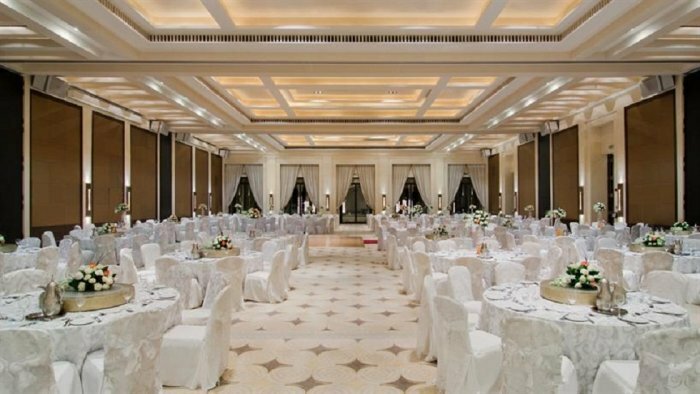 Located in Dar Al Bayda hotel, the wedding hall is very modern and has a royal feel to it, the men's hall can fit up to 450, while the women's hall fits up to 650 wedding guests. They are known for their great catering services, which includes Arabic and international dishes. Lou'lou'a wedding hall is a modern wedding hall which offers delicious Arabic and oriental dishes on their menu, and it is one of the biggest wedding halls, as it can fit up to 500 wedding guests. The wedding hall is located on Palestine street. 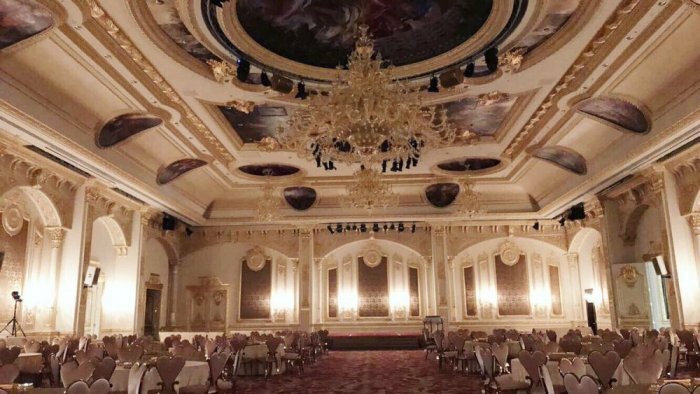 Nasayem Layl wedding hall is a very elegant and classic wedding venue in Jeddah, they offer beautiful wedding and kosha decorations, the wedding hall can fit more than 400 wedding guests. 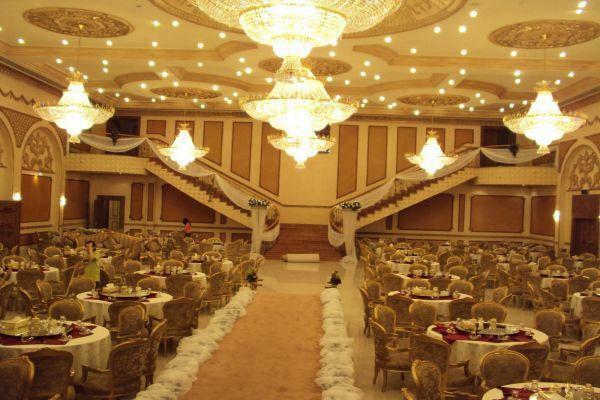 The wedding hall is located in Al Soumou center, opposite Arab Mall, and the Majesty Wedding Hall is fancy, elegant, and offers the best wedding services. Located in Al Samer area, the wedding hall is famous for its Roman decor and style, with marble floors, as well as its wood and copper details, it is known for its crystal chandeliers that have 100,000 candles. 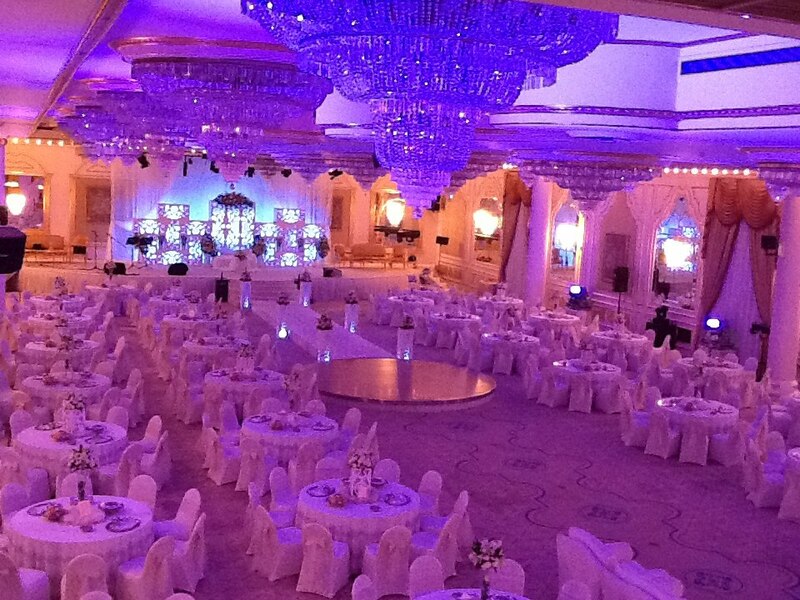 It is considered to be one of the most beautiful wedding halls in Jeddah, it is beautiful from the inside and outside. Decorated with gold and stunning chandeliers. The wedding hall fits more than 500 wedding guests and has 3 different wedding halls next to each other. 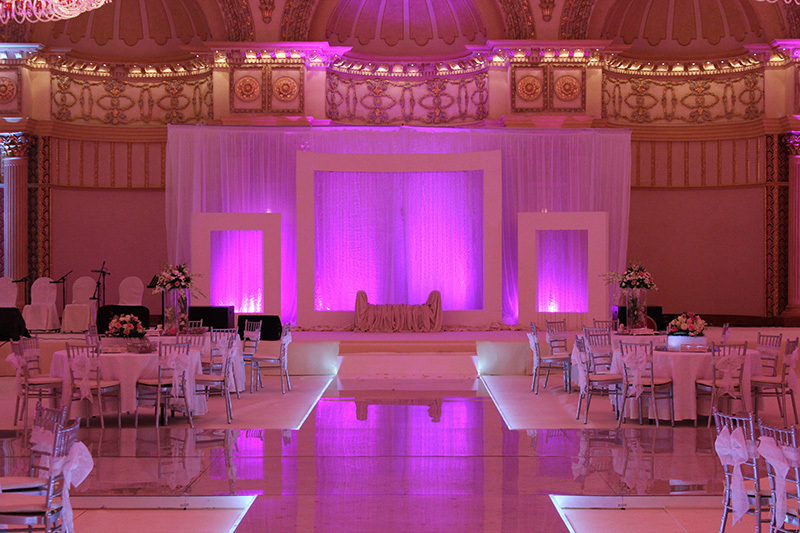 Al Malekat hall is unique, fancy, and glamorous, it is perfect for brides who are looking for a royal wedding venue, the hall fits around 500 wedding guests. 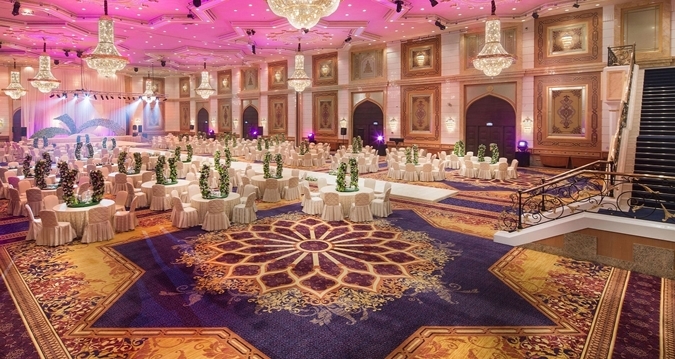 Hilton Hotel has some of the largest wedding halls in Jeddah, they are over 5000m2, and can fit up to 3500 people, the hall can be devided to 4 different halls and areas for different events. The hotel has a beautiful view of the red sea. The hotel offers a wedding hall that is almost 780m2, and is perfect for weddings that have 500 wedding guests, it is also prepared with the top sound and light systems. The hotel is located on Prince Mohammed Bin Abdul Aziz Street (Tahlia), Al Andalus District. 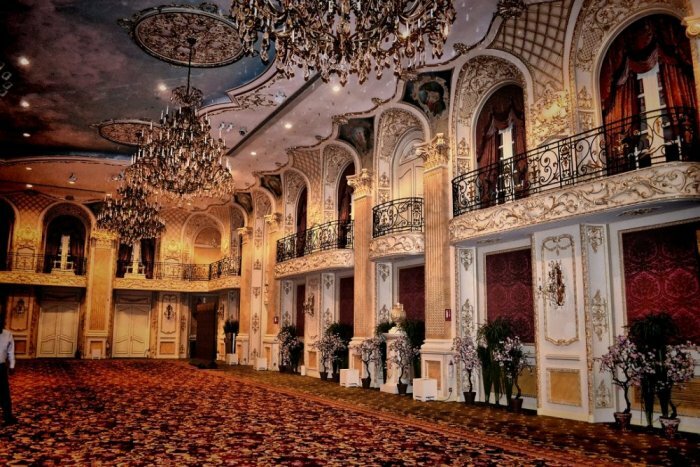 The wedding hall is located on the 6th floor and is popular for its unique design, and it fits around 400 wedding guests.